Berlin is a hell of city. I’ve had the privilege of visiting a number of times, and each time it has delighted and educated me in equal parts. Part of this is due to the amount of recent history, from the horrors of the second world war, through to the collapse of the wall. It’s also a hive of activity, with everything from tech start-ups to street artists on hand. You can find pretty much whatever you want in Berlin, which means it’s always worth a visit. Let’s take a look at some highlights of the city that should be on your list when you decide to drop in, based on some of my favourite things to do here. One of my favourite ways to experience a city is on foot, and Berlin has no shortage of walking tours on offer. On one of my visits I took an alternative walking tour of Berlin, which covered some of the history of the alternative culture in Berlin, from the street art to life in abandoned old buildings, to a sticker museum to bombed out train stations that have become trendy nightclubs. You can read about that here. Of course, if that all sounds a bit, well, too alternative, there are walking tours to suit every interest, so if street art isn’t your thing, then I’m sure you’ll find something that is. Tours usually last 2 – 3 hours, and group sizes (and prices!) vary. I love going up things to get a good view of my surroundings and orientate myself. Berlin has a number of options for getting some height between you and the city. Probably the best place to go up something is at Alexanderplatz, where you can climb the Fernsehturm, or TV tower. This 368 metre tower looms over all of Berlin, with an observation deck and restaurant at around 200 metres, offering a pretty spectacular view if the weather is good. 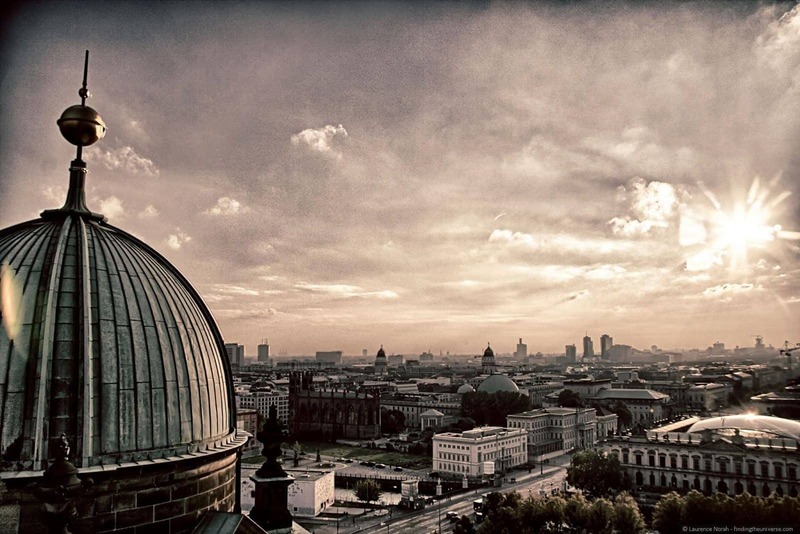 Another good spot for a view is the Berliner Dom, or cathedral. Found in the intriguing museum district, which is all islands, waterways and bridges, this late 19th century church features a massive dome and 270 steps to the top, which offers a unique view of the surrounding area. Berlin is an incredible city for street art, with examples from some of the worlds most famous street artists on display, including Banksy. 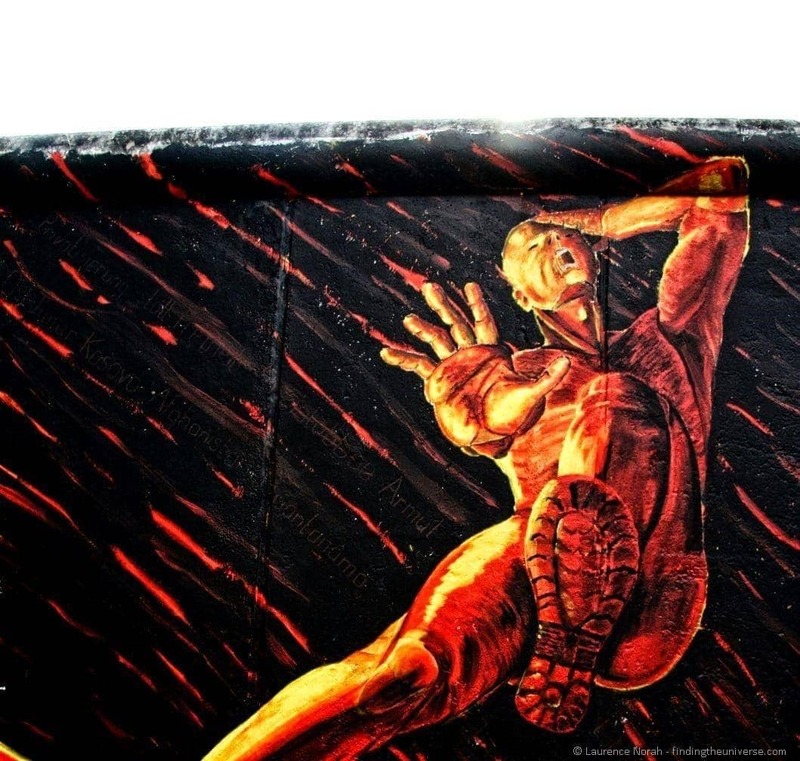 The East Side gallery is one of the best places to see the street art whilst also seeing one of the largest pieces of intact Berlin wall – the wall being the canvas for the art in this case. Other spots for street art include the area around Tacheles – a building that was once home to a thriving artistic community and more painted walls than you could shake a stick at. If shaking sticks at walls is the sort of thing you get up to. Sadly the actual building largely closed down near the end of 2012. Finally, for an excellent take on one slightly out of the way location for street art, check out this post from fellow travel bloggers OverYonderlust all about the graffiti paradise that is the abandoned spy station of Teufelsberg. Yes, it’s as cool as it sounds! It is impossible to visit Berlin without coming across visible reminders of the most brutal war humanity has experienced. The Jews of Europe suffered particularly during this time, subject to horrific ordeals at the hands of the Nazis. 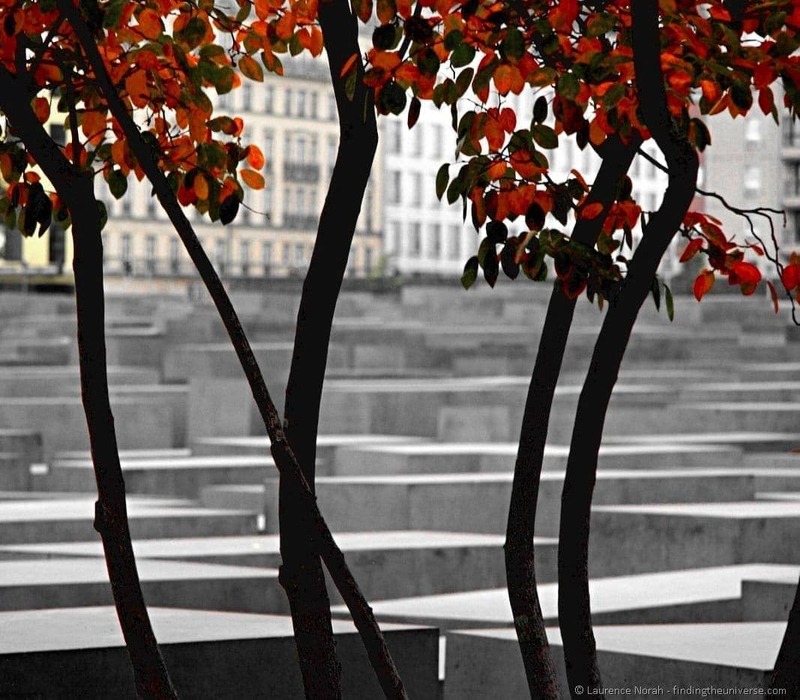 The memorial to the murdered Jews of Europe, also known as the Holocaust Memorial, serves as a tribute to the estimated six million Jews who were murdered during this war. It’s a sombre place, a maze of stone slabs, underneath which you will find a museum dedicated to those who were killed. It’s hard not to be moved when visiting. 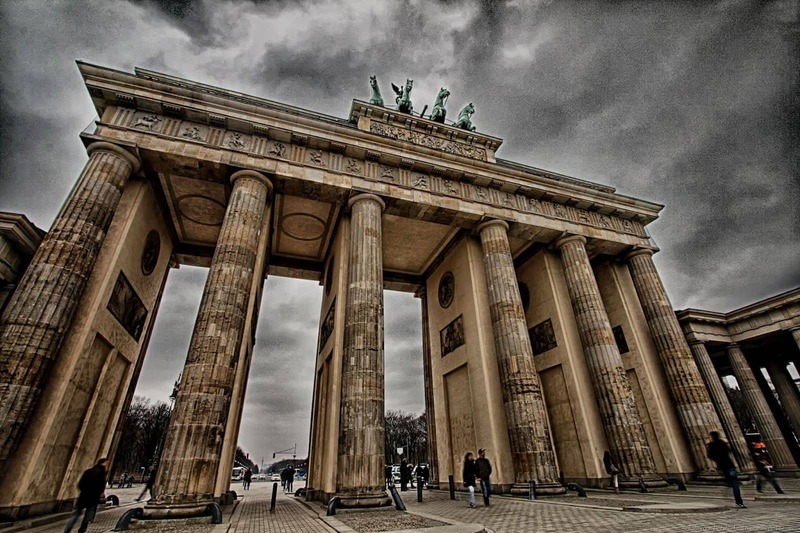 At the centre of nearly every major event in recent German history, including the famous pre-wall speech by US president Ronald Reagan, the Brandenburg Gate is about as recognisable a symbol of Berlin and Germany as you are likely to find. It won’t take you long to visit, but it is next to both the Holocaust Memorial and the Reichstag, or German parliament, which is also worth visiting if you have the time. As previously mentioned, it’s hard to wander Berlin without finding the scars of history, from Checkpoint Charlie to the chunks of wall that still remain as memories. The Topography of Terror is no different. 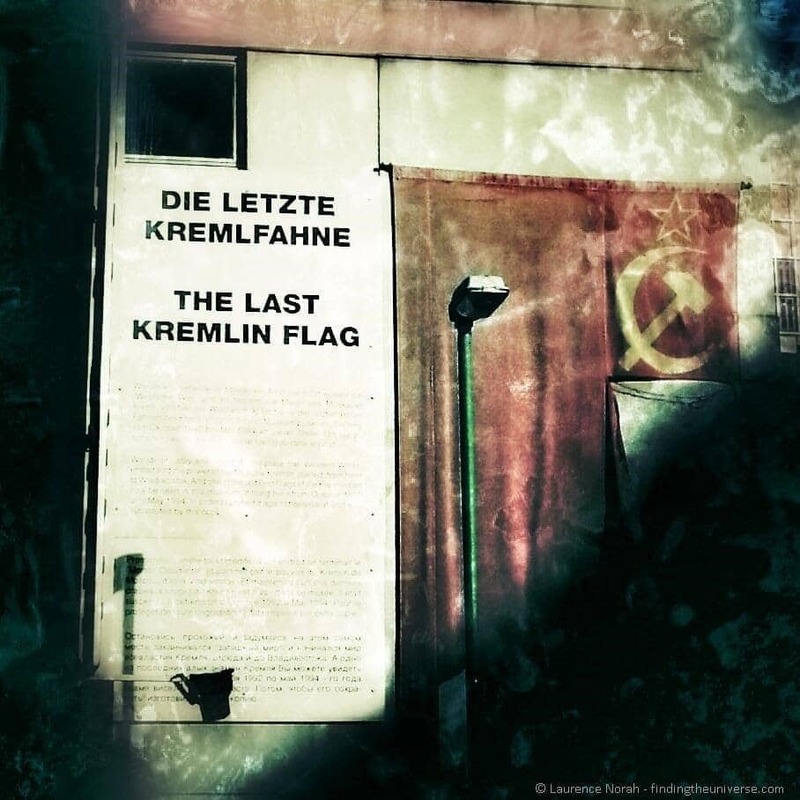 Here you’ll find one of the longest surviving pieces of Berlin Wall, as well as the location of the former Gestapo and SS headquarters. These latter were bombed into nothing near the end of the war, and the site is now kept as an outdoor memorial and museum, featuring information about the Nazi regime and the unspeakable acts that they perpetrated. I’ve always been lucky enough to be put up by friends when I visit Berlin, which makes giving specific recommendations a bit tricky. Still, and as you might expect, searching a major travel portal reveals that there is there is no shortage of options to choose from, ranging from the cheap to the extravagant. You’re likely to find something to suit nearly every budget! 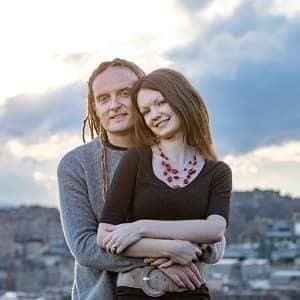 If you’re on a particularly tight budget, then there are also hostels to choose from, and if you are looking for a more private, local experience, then you will find various apartment rental services on offer. Being a capital city, Berlin is serviced by an excellent airport, so flights to Berlin are easy to find from all over the world. It’s also connected to the rest of Europe by excellent high speed rail services, which was how we arrived. Nothing beats arriving into the centre of the action by train! Of course, you can also drive to Berlin, and I’m sure there are a variety of bus options as well, although I’m not a big fan of driving into major cities as it’s normally a slow and tedious affair. I’ve no experience of the long distance buses in Europe, but I expect they are a cheaper, if lengthier, option than the above. We have some more posts on Berlin, featuring more of a narrative style, if you’d like to experience one of our trips in that way. Otherwise, we tend to find that searching online for advice from other travellers to be another excellent way to learn about a destination. WikiVoyage is one such resource, and their entry on Berlin is comprehensive. Finally, if you can’t help but have something physical in your hands, then there are a whole range of books on Amazon.com featuring Berlin, some of which are also no doubt available on Kindle, if that’s how you roll. We hope you enjoyed today’s post on Berlin! if you’ve visited Berlin, and have any tips to share, do hit up the comments below and share away!